This document covers the typical duties of a wellsite performance coach. It is designed to be used as a ‘straw man’ to lay out the core aspects of the role and some additional options, all of which need to be tailored to the clients needs. For the purpose of this document, the Job Title is shown as ‘Wellsite Performance Coach’ but the name itself is subject to careful selection. The client offshore rep is referred to as Drilling Supervisor, but this varies according to client. The words ‘him’ and ‘her’ are considered interchangeable. It is recommended that a detailed explanation of how the job will be done (day-to-day) is also developed, using the many example that we have. This is the core tool that we use to capture and track items that need following up. A detailed time tracker for tracking planned vs. actual. It also produces the graphs and plots needed. ILT is generally associated with inefficiencies that occur in operations that are classified as normal (no NPT) and so can be difficult to detect and correct. Usually, the operation is making progress, but not as quickly as might be possible with a change in procedure, equipment, or technology. For example, limping out of the hole with a faulty iron rough-neck, drilling ahead with reduced parameters due to pump failure and so on. The Wellsite Performance Coach is a member of the rig team, whose primary function is to provide performance support for the rig team at the well site. This is achieved by serving as an additional resource for the Drilling Supervisor, primarily by assisting with operational planning (ensuring maximum participation and involvement) and follow-up (capturing as much valuable information as possible). It is expected that the Wellsite Performance Coach will spend as much time as possible outside (‘boots on deck’). Assisting the Drilling Supervisor with all aspects of operational performance. Daily review and discussions of upcoming activities to ensure all tasks are performed in the most efficient manner possible. Facilitate wellsite After Action Reviews. Rigorously follow up on actions and ensure prompt closure. The Wellsite Performance Coach reports to the Drilling Supervisor on the rig and maintains regular contact with the office support team, principally the Drilling Engineers and the Drilling Superintendent. Where rp² are providing an onshore coordinator, the Wellsite Performance Coach has line reporting to him. In the absence of an onshore coordinator, the client ‘champion’ will be clearly identified and briefed on his role. 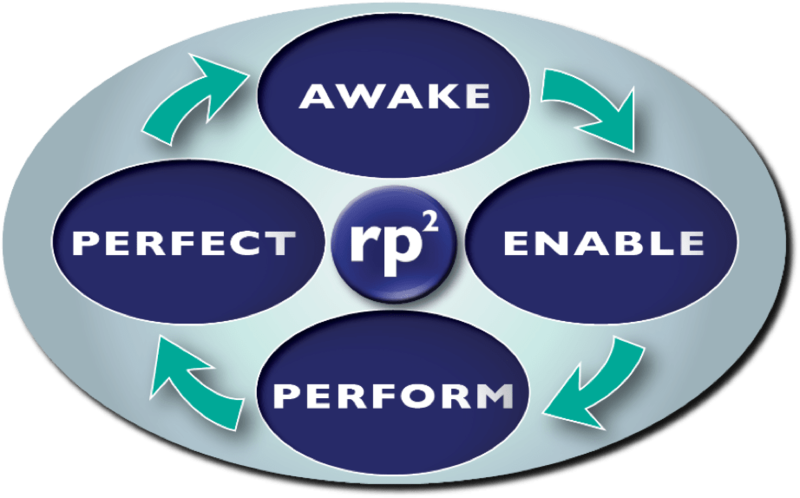 Ultimately, the Wellsite Performance Coach is accountable to the rp² management team for proper and effective delivery of the methodology, and will be reporting to them. Overall Purpose: Support the Drilling Supervisor in delivering safe and efficient operations by taking responsibility for organising effective and efficient planning and review meetings, seeking continuous improvement input as widely as possible, managing progress of improvement actions, and tracking operational performance trends. Facilitate operational planning and review meetings at rig site e.g. Pre-Phase meetings, After Action Reviews (AAR), etc. The Drilling Supervisor may prefer to chair such meetings. For AARs to include: What went well, what didn’t and to analyse deviations for the plan (NPT, ILT), identifying root causes. Ensure actions identified in planning and review meetings are closed out in the prescribed timescale. The primary tool for this is the rp² LOG. Liaise closely with client team, Service Co and Drilling Co to close out items. Work closely with Drilling Supervisor to ensure that all the planning activity and discussion ‘gets to the man on the brake’. Spend as much time as possible outside, witnessing operations and offering-suggestions/preventing-problems. Capture lessons learned from operational activities. This should include positive items also (e.g. Best Practices. Attend pre-tour meetings & toolbox talks as required. Use this opportunity to share lessons learned and/or highlight upcoming novel activities that we’ll need feedback on. Conduct informal post-job reviews (“toolbox wash-ups”) to capture learning at source. Ensure lessons learned are embedded in contractors’ procedures. Seek out and help implement performance improvement ideas from all members of the crew and Service Co. Participate in regular (weekly is recommended) lessons learnt call. Essential items should be brought up at the daily call or via adhoc communication to ensure closed out before the (next) opportunity is missed. Maintain a detailed record of operational performance in order to identify performance trends and improvement opportunities. Preferred tool is the WBS. Maintain time/depth and time/activity graphs for crew visibility. Write regular (weekly) Performance Newsletter. Including top lesson learned, top crew suggestion, HSE stats, TvD and operational summary. To be posted on the rig notice board, in the office in town and emailed to relevant parties. Use Performance Bulletin Board, posting: Action LOG, Newsletters, Performance trends, Recent AARs and Pre-Phase Meetings. Track Efficiency Factors (mini-KPIs) for repetitive activities. Assist Drilling Supervisor with the 10-day Look-ahead. Assist Drilling Co to maintain standard operating procedures and checklists. Visual-learning option: Record photographic and video material, capturing the various operations carried out on the rig (e.g, novel Completion activities to aid pre-shift and pre-phase meetings. Namely of rig-up and how the operation should be performed. Edit footage, add sub-titles where required. Display on rig TV’s. Generate Best Composite times from offset data to allow gap analysis from start of project. Incorporate into look-ahead planner. Track value of LOG items using protocol agreed with the client. Upload lessons learned into client’s Corporate database or rig team best practice document. Ensure service failures or sub-optimal performance levels are investigated and acted upon in a timely manner. This includes writing specific reports if so required. Supply & discuss lateral learning from other projects – rp² informal database and/or SPREAD. Assist in preparation of and facilitation of onshore meeting (Wash-ups AARs, DWOPs). Attend if requested. Set up look-ahead & tracker for each project ahead of time with raw data from drilling engineer (onshore task). Post-trip handover meeting in the office, to go through lessons learnt and update the tracker.